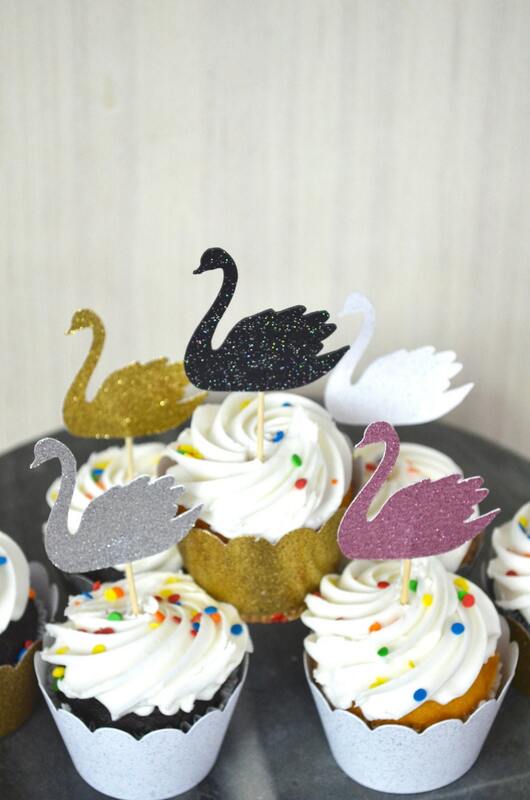 These beautiful and elegant swans are simply a perfect way to top any dessert, especially cupcakes. 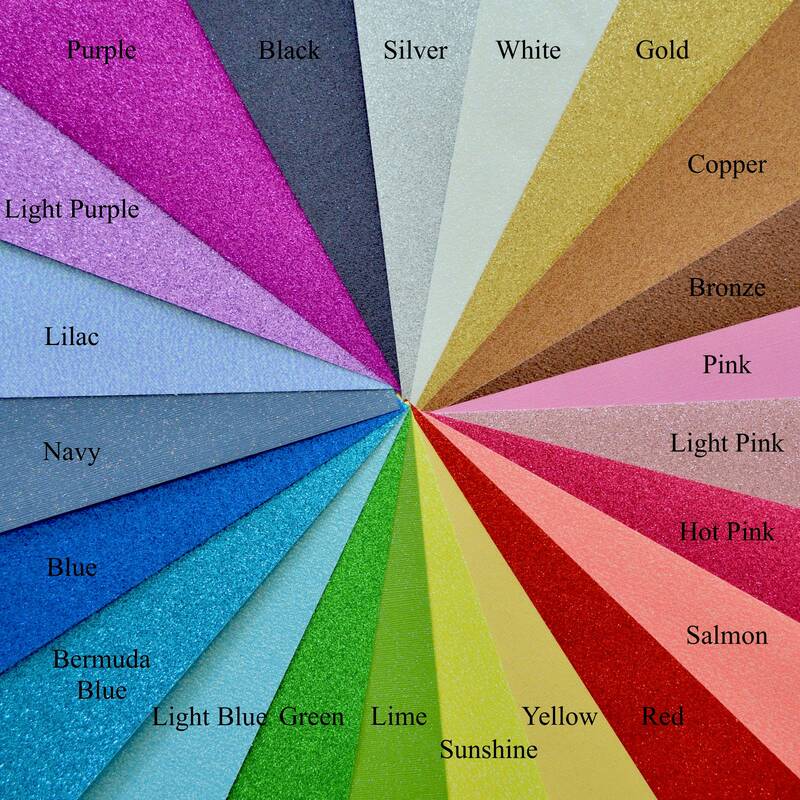 Select from a wide range of glitter colors to match your special event. 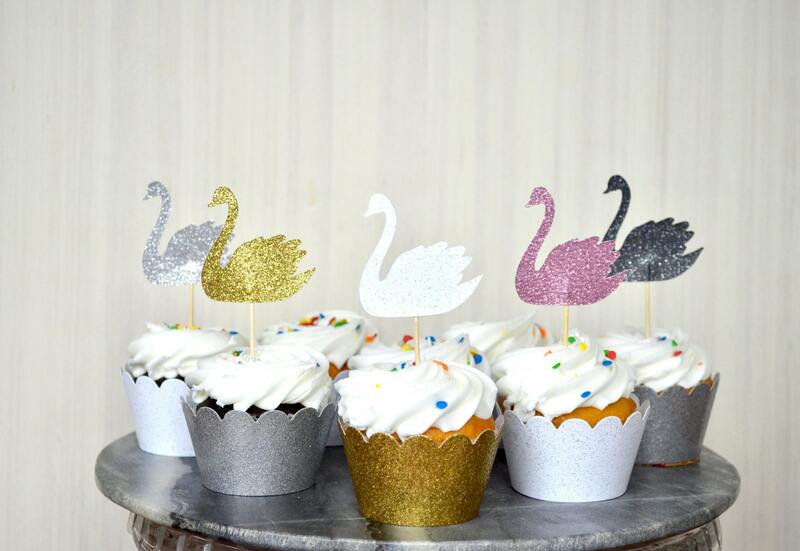 Each swan sports matching glitter paper on both sides so it looks great from both sides. 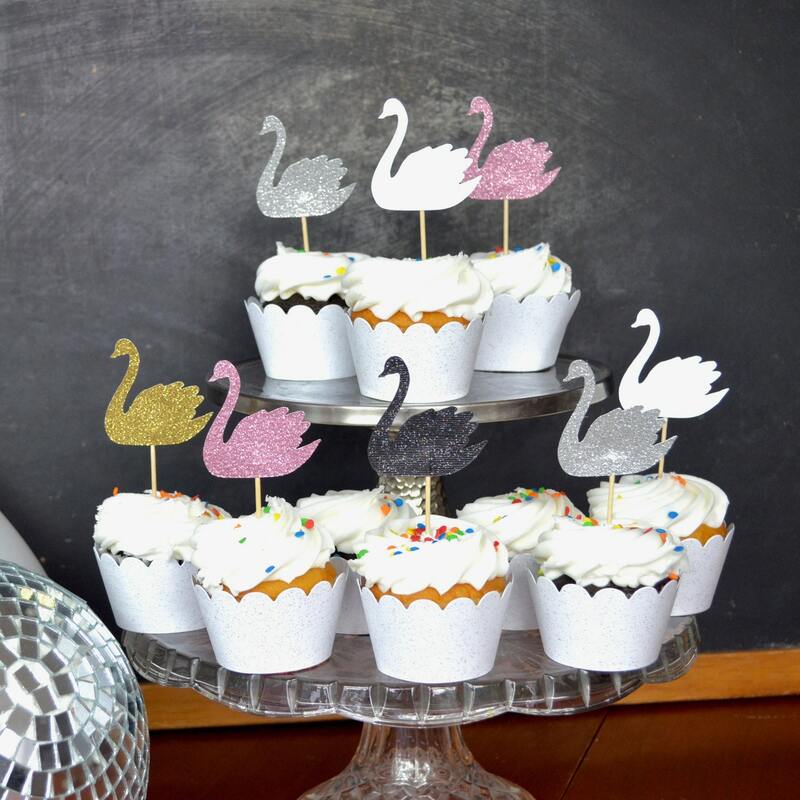 Measurements: Each swan is 2in tall and 2in wide. With toothpick, they stand about 4.25in tall. Have a question about colors or needing a bulk amount? Contact us. 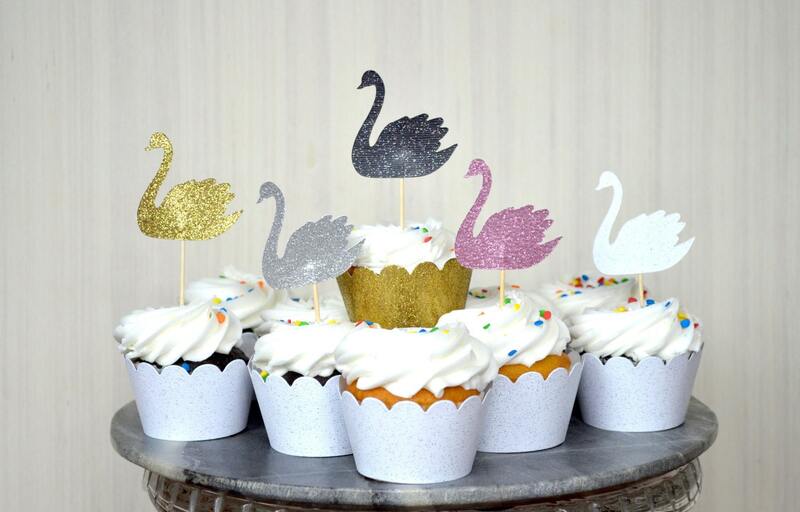 Love my swan cupcake toppers! Exactly as described and extremely fast shipping. Very happy! Adorable at my daughters first birthday!